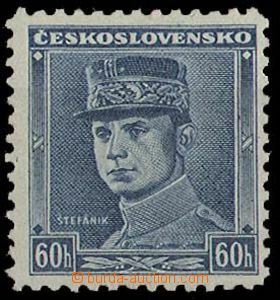 1939 overprint, Alb.3, 10h Coat of arms corner str-of-5 with shifted overprint to lower margins stamp. 1939 overprint, Alb.6, corner horizontal pair with plate mark 2 and joined types I. + II., closed and open 9 on pos. 181-182. 1939 Overprint issue Coat of arms values 20 and 30h with "double" smykovým overprint, 2x marginal block-of-4 values 30h Alb.6 with bright distinct double konturou overprint + 20h Alb.5 with very neostrými konturami overprint + 50h Štefánik Alb.9 with machine offset overprint. 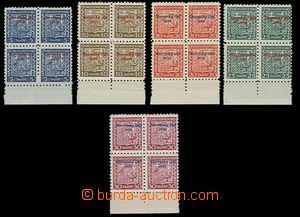 1939 overprint, Alb.8, 9, 12, 50h Beneš 2x corner blk-of-4 with DT1 and 2, 1CZK T. G. Masaryk corner blk-of-4 with plate mark 3, supplemented with right bottom corner block of four 50h green Štefánik. 1939 overprint, Alb.9SOP, 50h Beneš with machine offset overprint. 1944 Alb.H119, miniature sheet For Children-issue with originálními folders with printing and dedication from minister transport. Rare! 1944 Alb.H119, dusky corners from photo-corners, suitable as gutter. 1939 CDV65 forerunner PC Coat of arms uprated by. Czechosl. stamp. 20h and 50h, sent to Slovakia, CDS Jedovnice 10.VII.39. Without damage. 1939 CDV65 with uprated by. 1CZK to BOHEMIA-MORAVIA, CDS Modra 1/ 8.IV.39, good condition. 1939 CDV2 uprated by. and to Protectorate, CDS Kežmarok 28.VI.39. Light bend. 1939-40 CDV2 comp. 6 pcs of uprated by. PC sent to Bohemia-Moravia + 1x CDV8. Part with German censorship. good condition. 1944 CDV5/I as Registered in the place, richly uprated on/for 2,95Ks, missing 25h, attached certificate of mailing with uvedenou right amount 3,20Ks, CDS Štrba/ 20.III.44, filed address, without text, good condition. 1942 CDV10/2 Memorandum, to BOHEMIA-MORAVIA, uprated with stamp Alb.43, 51, CDS Bratislava 2/ 4.III.42, German censorship, good condition. 1944 CDV11 with uprated with stamp 50h to Bohemia-Moravia, CDS Bratislava 1/ 6.IV.44, German censorship, good condition. 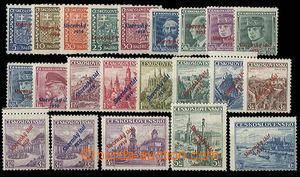 1939 2 pcs of heavier commercial response letters sent from Handlové 5. and 8.V.39 to Žilina, with mixed franking of czechosl. 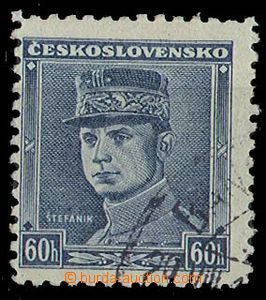 and stmp with overprint., Alb.6, 9, 12. good condition.